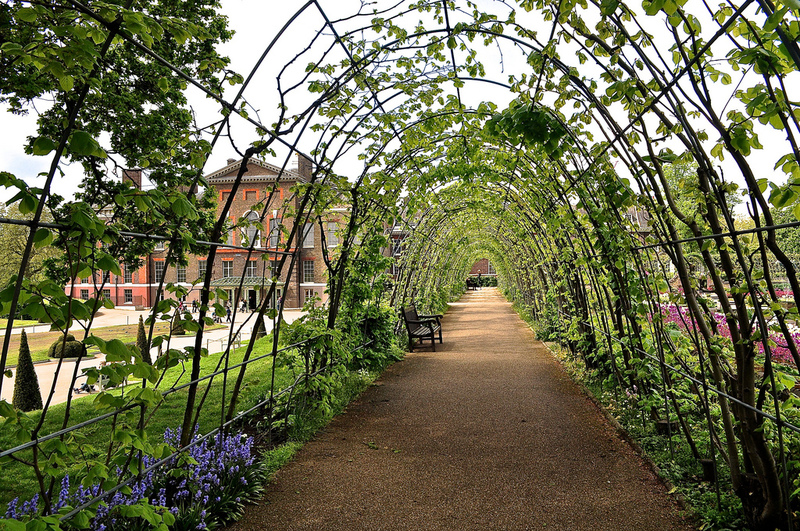 KP or Kensington Palace, situated within Kensington Gardens, is one of its most precious gems. It is restrained yet exuberant and well worth visiting if you are addicted, like I am, to Lucy Worsley’s BBC4 series on The First Georgians – all geared to celebrate 300 years since the Hanoverians were invited to take over our throne. 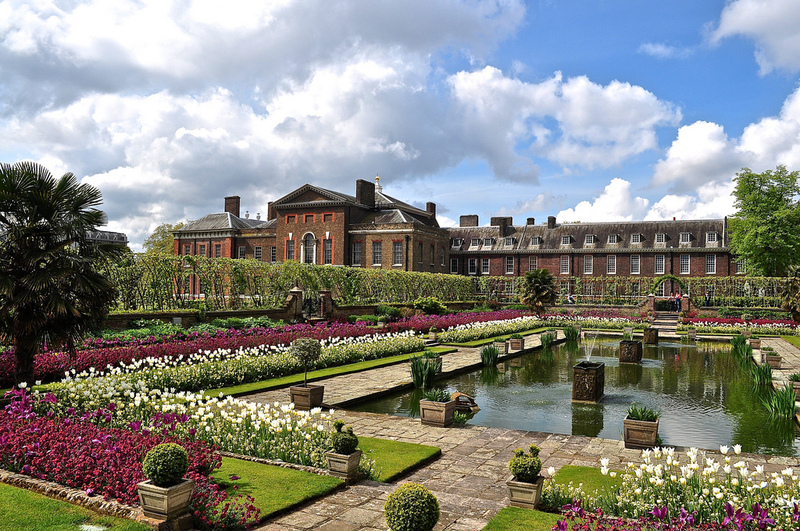 Originally built for William III and Mary II at the end of the 17th century, Kensington Palace has been a museum, a barracks and a home. It is perhaps best known today as the London residence of the Duke and Duchess of Cambridge as well as a place of pilgrimage following the tragic early death of Diana, Princess of Wales. 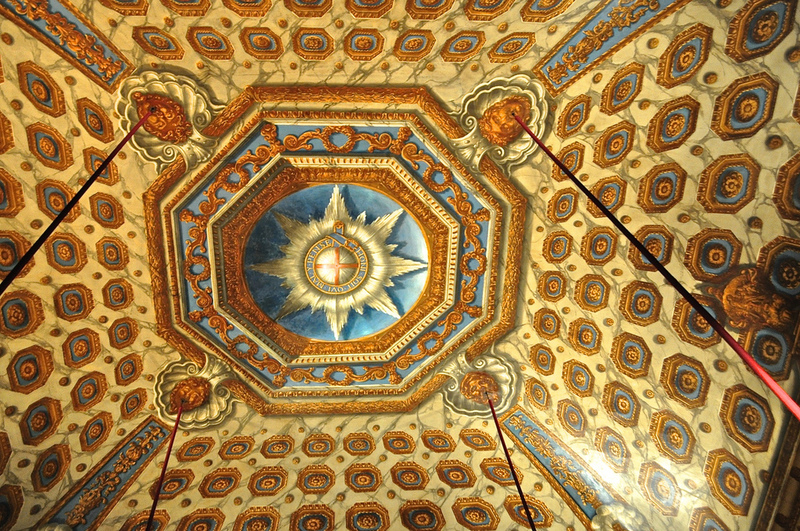 The King’s Apartments in particular are grand and ornate – with the above stately staircase and the amazing ceiling of the cupola room. 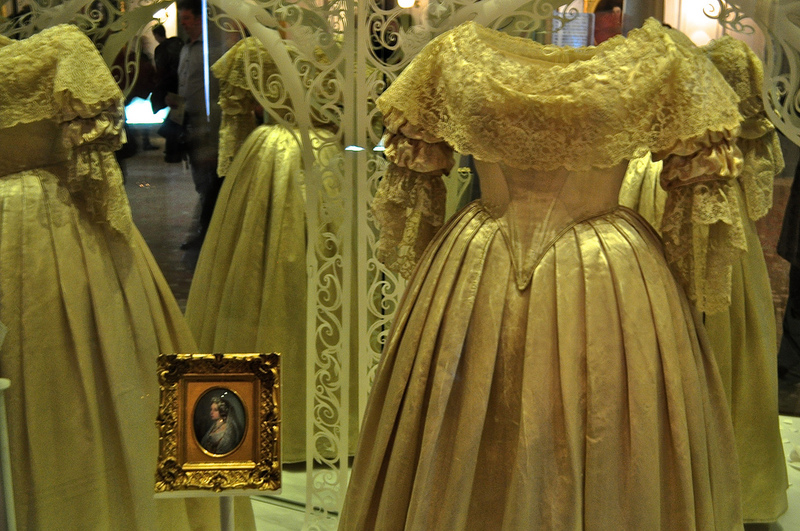 Other points of interest are the Queen’s Apartments, Queen Victoria’s exhibition (she was born at Kensington Palace) and clothing dedicated to later 20th century royals including Princess Margaret, HM The Queen and Diana, Princess of Wales. 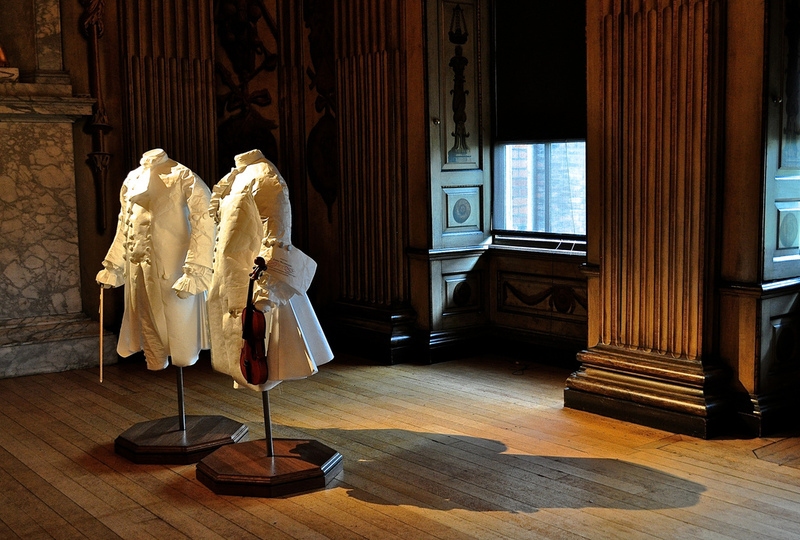 I liked the staging of the Palace – particularly these “paper people” as I call them – life-sized mannequins, wearing white and gold paper clothing which give a great sense of what it would have been like “in the day”. These musicians were my favourites. There’s a good priced cafe (both indoor and al fresco) if you are seeking a place to have a quiet respite from walking around the palace. Adjacent to the terrace, is the new garden which seems to be particularly popular with visitors in search of the perfect “selfie” backdrop! Entry starts at GBP16.50 for adults or just GBP15.40 if booked online. Children under 16 are free. 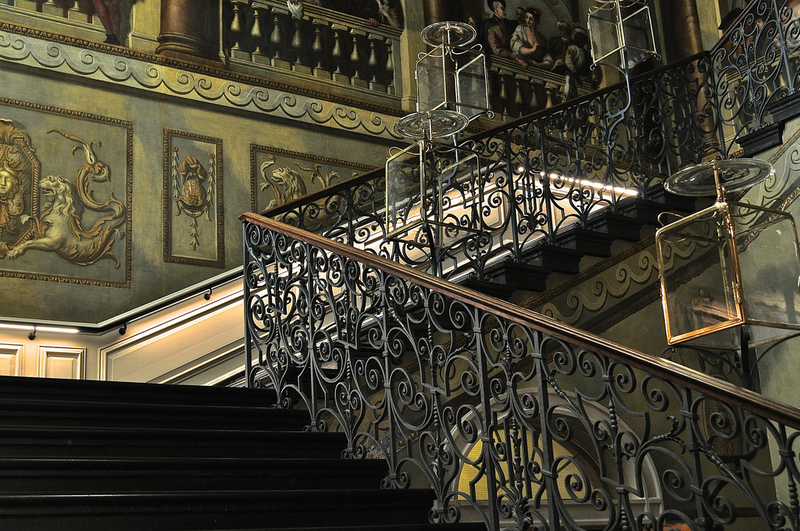 It is free for unlimited return visits to members of Historic Royal Palaces.